Dundas Castle in Edinburgh is opening its doors to outdoor wedding ceremonies. Scotland is one of 6 countries in the world, and the only country in the UK where a humanist ceremony is legally binding. 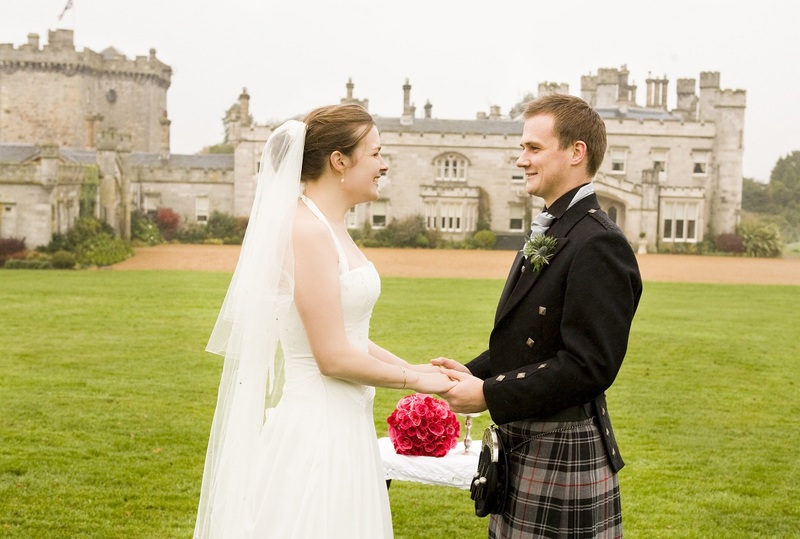 Scottish law allows Dundas Castle to hold religious, humanist ceremonies in these ‘safe and decent’ locations and civil ceremonies based on official approval from a registrar. Depending on the chosen location on the estate, guest numbers can range from an intimate wedding for four to a larger occasion for up to 180. The diverse locations offered provide different vistas and atmospheres so that each couple can select a ceremony setting to enhance their wedding theme or create their dream wedding. Dundas Castle Commercial Director, Lucy Scillitoe, commented “because Dundas Castle and the grounds are private, it is easy for us to ensure that when couples marry here they have exclusive use of the castle and the estate. Whether couples dream of a ‘Braveheart’ style ceremony secluded in the woods or a large open air ceremony with the castle façade as a back drop, our experienced team will ensure that the finest details are addressed.